Blimey it's been a long time since I've seen this going around! 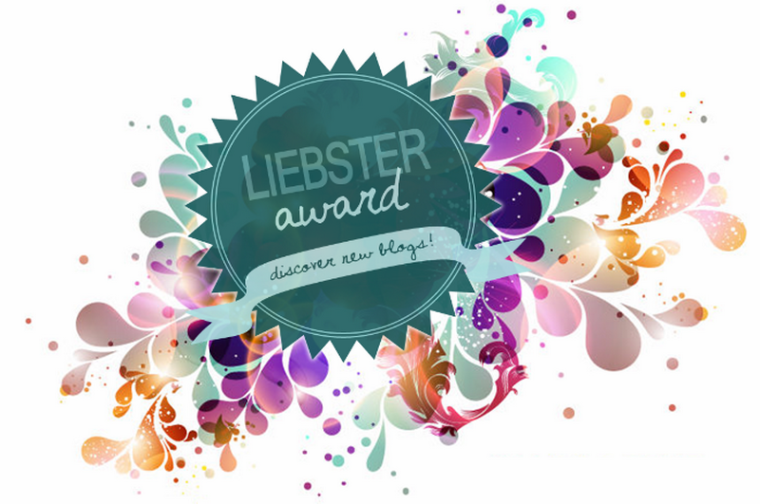 The Liebster Award is dedicated to supporting new, growing bloggers. Or, you know, ones that have been around for a few years but had to create a new blog *cough* me *cough*. I was nominated by the lovely Jess a.k.a Queen Sapphire. Thanks Jess! Answer the questions you were asked by the person that nominated you. Tag 11 bloggers with under 200 Twitter followers. Create 11 new questions for your chosen bloggers. Got to be my w7 mascara! Ooh almost definitely Iceland! It's so gorgeous there and the snow is 10/10. Ehh, it's a bit touch and go. Definitely feels clique-y sometimes but then other times you can interact with a "big" blogger (or someone you consider to be a big blogger) and they're actually really down to Earth and lovely. I've definitely noticed there are some people that probably won't support you, despite you supporting them as much as possible. Um...use tea tree oil face wipes? I've been using them for a year or so now and I wouldn't use anything else, can't recommend them enough. Ooh New Look, Primark, Missguided if I'm having a splurge! That's probably it tbh, they're really the only places I shop for clothes and if you've read about whats in my makeup bag you'll know it's mostly Younique! Creating and running a photography blog was part of my college module and I loved it so much that I decided to branch out and run a personal one! It's mostly been a positive experience but my engagement drops occasionally and it can be pretty disheartening! I kind of do; I would love to have all homecooked meals and used to cook a lot but I get stressed out so easily! Pretty much any pasta dish, if you offer me pasta I'm going to eat it. It depends how badly I want something! I generally try to shop in the sales (even though I still can't really afford anything) but I've also dropped £100 in one order so it really depends! Oh my, this is a question I haven't thought about for a long time; I don't even have a Pinterest board for this anymore! I mostly dig the monochrome-with-pops-of-colour style. My bedroom for example is black and white with a purple chimney breast. Although I really like yellow and grey lately! What was the last photo you took on your phone? Share it with us! What have you been complimented on recently? Do you have a nickname? What's the story behind it? If I was to holiday in your town/village/city where is one place I should visit? If you had to be trapped in a TV show for a month which show would you choose? What film did you last see in the cinema? What did you think of it? Why are you proud of yourself right now? Where was your all-time favourite holiday? What did you do? What is one habit you want to break or one you want to take up? What is a valuable life lesson you have learned? I couldn't think of anyone else to tag so if you're reading this and fancy answering my questions then feel free!